Labor Day is the unofficial end of summer, even though there are roughly three weeks of summer left before the fall equinox is upon us. 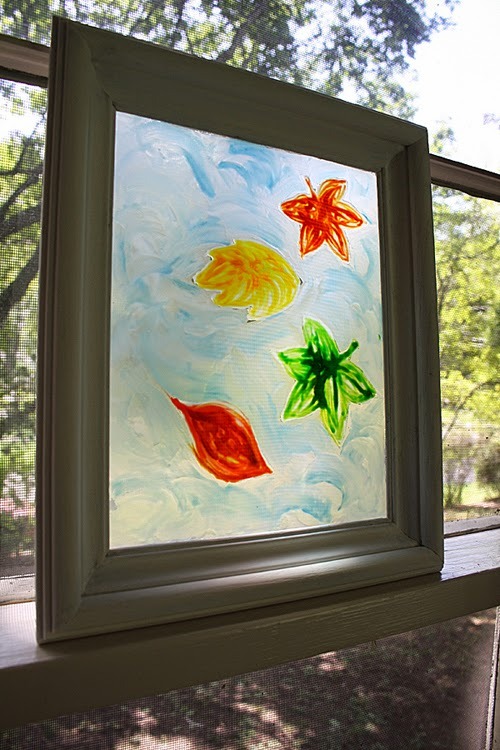 With cooler temperatures comes gorgeous colors amongst the trees and shrubs, and kids love to make crafts associated with that beauty. I was inspired by my friend Suzi's faux stained glass peacock where she used glue and acrylic paint. 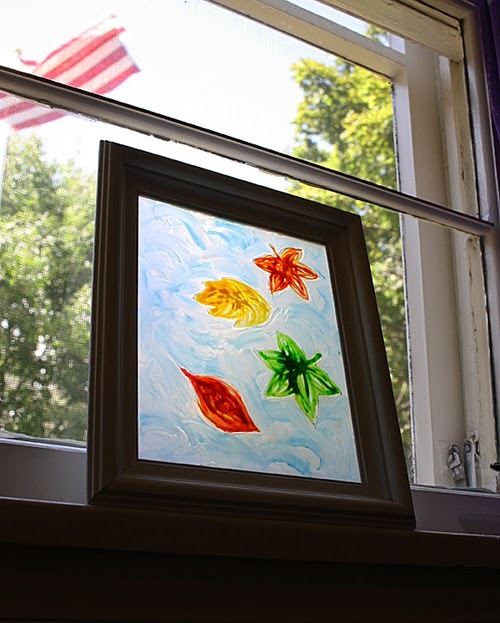 I went in a little different direction, combining her project and a sun catcher I made using food coloring to come up with this design. I'm pretty pleased with the result and it makes a great decoration for your home or classroom! 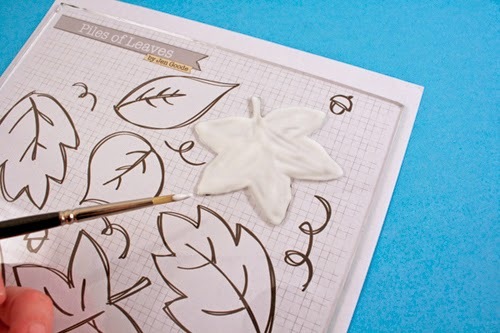 You can freehand your designs if you like, or you can use this leaf printable I found on 100 Directions. Take the glass out of the frame and clean it. Please be careful in case the edges are rough or sharp. 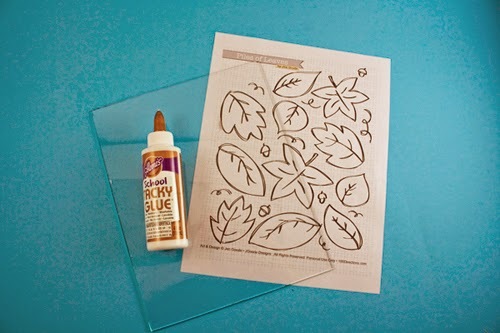 Place the leaf picture under the glass and trace leaves using the glue bottle tip. 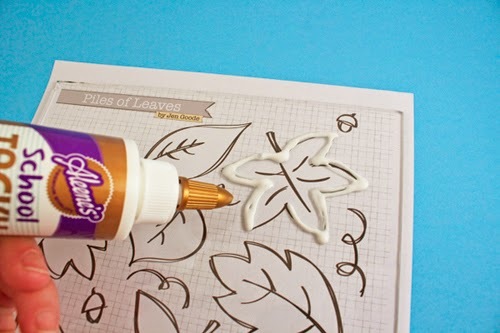 Add some glue inside the leaf too and spread it around with your paintbrush to fill the gaps. Place ONE drop of food coloring into the center of the wet glue. 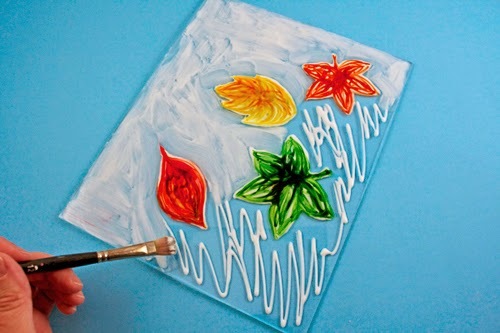 Use your paintbrush to draw the food coloring out from the center and into the leaf sections. Repeat this with as many leaves as you like. 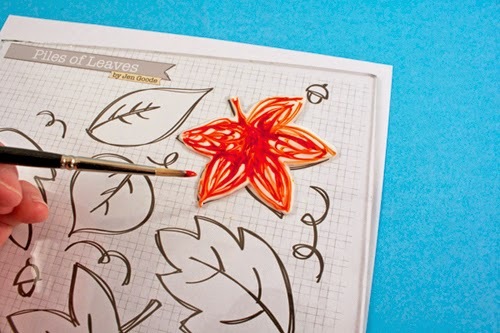 Use different colors for different leaves. 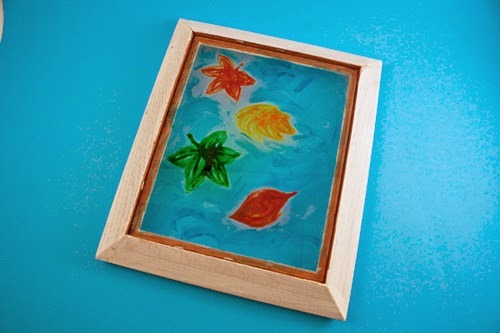 Color in the background using glue and spreading it with your paintbrush. 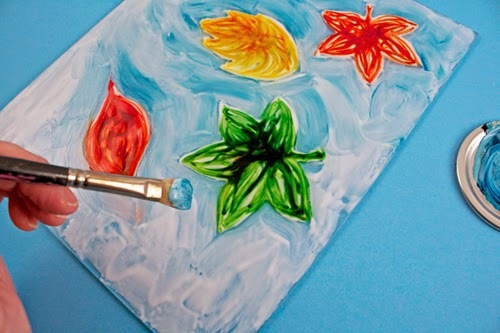 Squeeze out a puddle (about a tablespoon) of glue onto a palette or paper plate. Add 2-3 drops of blue food coloring and stir it up a little. Don't completely blend it so that you get some dark streaks here and there! 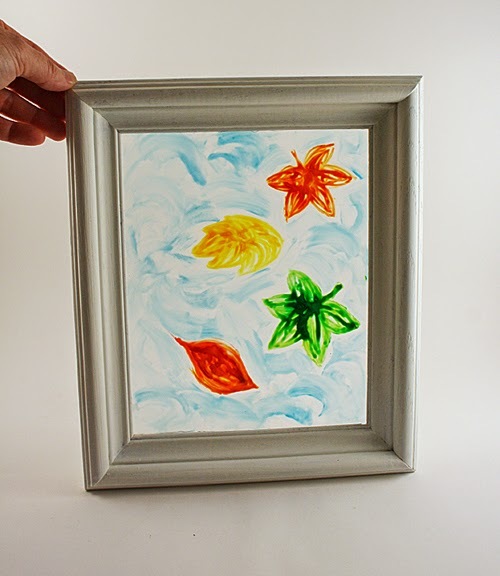 Pick up a generous amount of the blue glue with your paintbrush and add color all over the background. I went around the leaves, following the curves of each leaf. Set aside to dry completely, overnight is best. The next day when everything is dry, turn the frame face down. Look for the "ledge" where the glass will rest once inside the frame. Pipe super glue or fast drying glue (not hot glue) onto the ledge and place the painted glass inside. 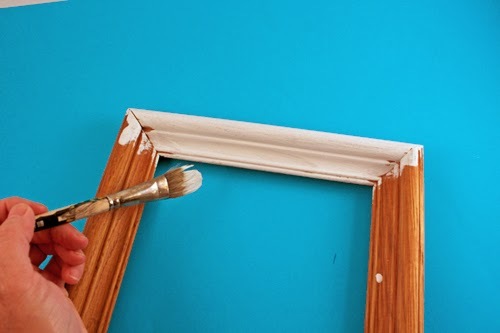 Gently press it into the glue and allow it to dry before displaying. I think I'm going to attach a chain to the back of mine and hang it in the middle of a big picture window I have in my dining room. It will have just the right amount of color that room needs! I hope you enjoyed this project! What other designs can you think of using this method? This is cool! I have done something similar with tissue paper and Elmer's glue but I like this version better!